The speed limit on Interstate 5 will be cut to 55 miles per hour beginning Monday morning to ensure safety in the North County construction zone. The California Highway Patrol, Caltrans and SANDAG jointly announced the new speed limit in both directions between Manchester Avenue and Palomar Airport Road at a news conference on Friday. Enforcement begins Monday and will continue until construction of new carpool lanes and related work is completed in 2022. “The temporary speed limit “will ensure the safety of construction and maintenance professionals who work along I-5 each day and night,” said Allan Kosup, project director for Caltrans. Drivers will be alerted to the change in speed limit prior to entering the construction zone via temporary signs along the freeway and at every on-ramp. 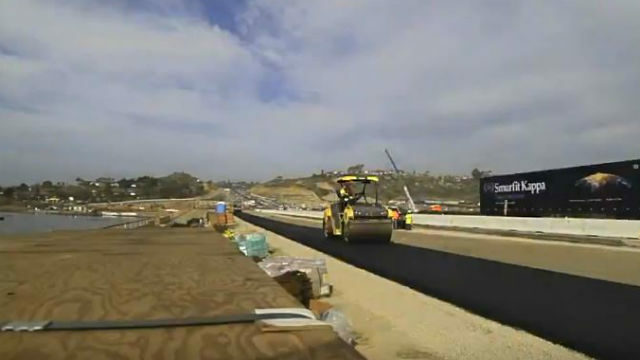 The construction is part of the Build North Coast Corridor project, which includes extending the existing carpool lanes in each direction from Lomas Santa Fe Drive to Route 78, double-tracking the rail line and replacing the highway bridge at San Elijo Lagoon, and constructing nearly seven miles of new bike and pedestrian trails.